The Swedish-American Chamber of Commerce (SACC) is the creator behind Innovate46, a platform for Swedish and American startups and entrepreneurs within the sustainable solutions industry. The annual Innovate46 conference is a high-level, full-day event with a focus on Swedish innovation. This year the event took place on October 11th at the Nasdaq MarketSite. Each year the platform contributes to Swedish startups with the Anders Wall Award for Exceptional Entrepreneurship, awarded to a Swedish company active in the United States. In an effort to support Swedish startups in the U.S. SACC New York collaborates with the Swedish Agency for Economic and Regional Growth also known as Tillväxtverket. For this years event nine prolific Swedish startups were invited to the Innovate46 conference of 2017 for an on-stage presentation and pitch. The conference was a success and ended with the prestigious Anders Wall Award for Exceptional Entrepreneurship. Following is a description of the Anders Wall Award for Exceptional Entrepreneurship. Five up and coming nominated entrepreneurs are selected to pitch for an impressive jury of seasoned executives, business professionals, and investors. The winner will be awarded a $25,000 cash grant. The grant shall be awarded an entrepreneur or a group of entrepreneurs which truly benefit from both the reward and honor of winning and is to be used to further expand the company’s operations. 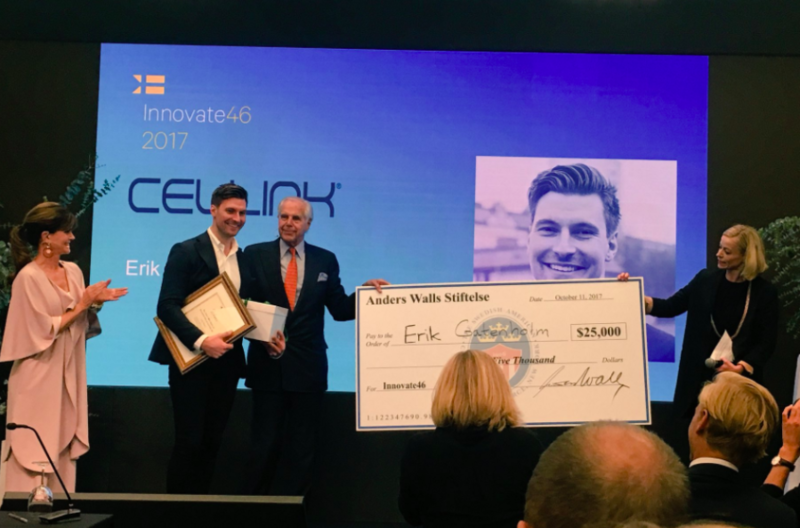 Among the companies that made onstage presentations during the Innovate46 conference, the jury selected this year’s winner Erik Gatenholm, Founder & CEO of CELLINK. These were the five criteria when the jury announced the winner. – The company possesses a high probability to succeed in the United States. CELLINK is the first bio-ink company in the world and is also the creator of the world’s first universal bio-ink. 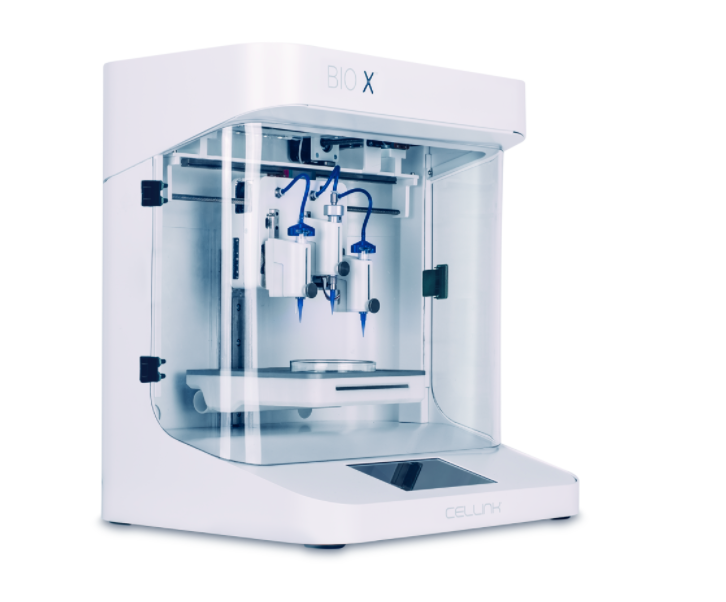 Bioprinting process allows the medical industry to produce more realistic and functional models of what is truly happening at the cellular level. As a result of using bio-ink, new drugs and treatments will reach clinical trials faster with a decreased number of failures and reduced need of animal testing. Congratulations to Erik Gatenholm and Cellink from us at Swedes in the States! If you’re interested in learning more about Cellink click here.